I’ve been making eggplant parmigiana for decades, and if you’re like me, you’re making it the way most people (and cookbooks) instruct you to do, that is, frying the eggplant after coating the slices separately in flour, beaten eggs and then bread crumbs. The eggplant tastes great when it comes out of the fryer, with its crunchy coating and makes a delicious side dish as is. But why fry it crispy, only to coat it in layers of tomato sauce and cheese, that will in essence, render the crispy eggplant completely soggy? 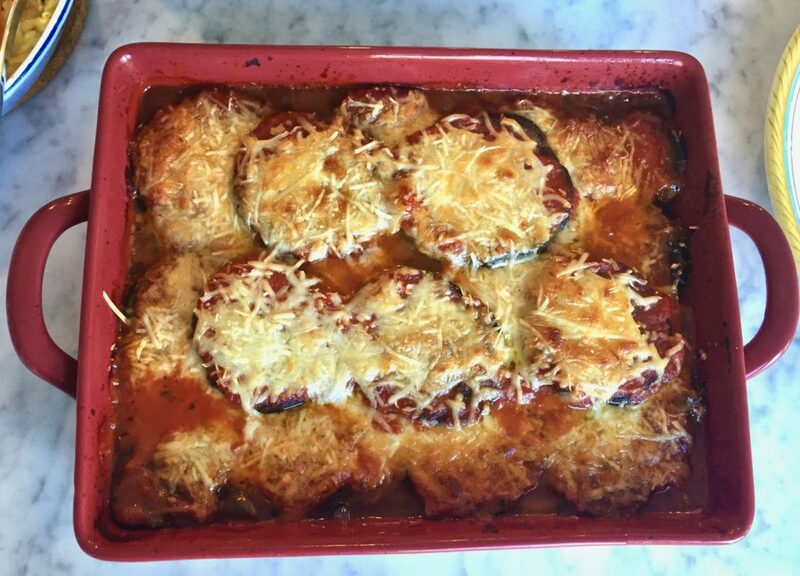 It’s only in the last couple of years that I’ve said “arrivederci” to the three step process of coating eggplant slices for parmigiana in favor of grilling eggplant for this classic casserole instead. You don’t have to use an outdoor grill – a stovetop grill pan works just fine. This method of making eggplant parmigiana is easier, and much lighter, and closer to the way it’s served in Italy. I recently made a couple of casseroles of this for a party, and everyone went back for seconds. I don’t think I’ll go back to the triple coating and frying method again – unless it’s to serve them straight out of the fryer as a side dish. Place some tomato sauce on the bottom of an ovenproof dish (I use a very basic marinara – no meat, and it’s better if it’s a little on the thin, or runny side since it thickens up when it bakes with the eggplant and cheeses). 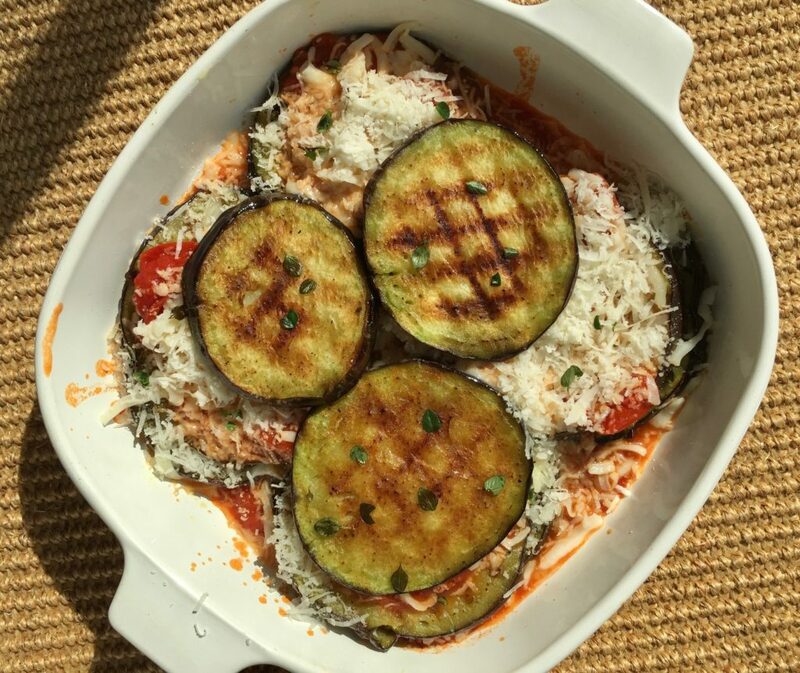 Layer with slices of eggplant, shredded mozzarella and parmigiana cheese. Continue for two or three more layers, depending on how much eggplant, sauce and cheese you have. When you’ve used the last of your eggplant slices, cover them with more tomato sauce and cheese and place in the oven. Check out Ciao Chow Linda on Instagram here to find out what’s cooking in my kitchen each day (and more). Grilling eggplant, instead of breading and frying, leads to a much lighter eggplant parmigiana. Peel the eggplant, but not entirely. Peel "stripes" in the eggplant, so some peel remains. Drizzle olive oil over the slices, and season with salt pepper, (herbed salt if you have it) and dried basil. 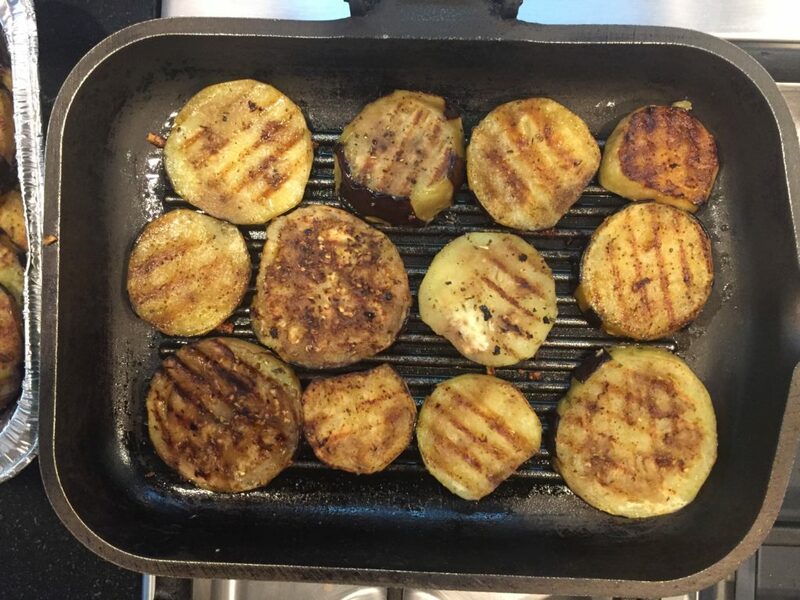 Use an indoor grill pan to grill the eggplant slices (I don't like using an outdoor grill for this recipe since I don't want a "smoky" flavor). Remove the eggplant slices when cooked through, and set aside. Spread some tomato sauce in a casserole and place a layer of eggplant slices over the sauce. Spread with a layer of the mozzarella cheese, then a layer of the parmesan. If you have enough eggplant, make a third layer, even if it's only a partial layer, in order to use up the rest of the eggplant. Bake at 375 degrees for 25-30 minutes, or until the cheese is golden. If the top is still not golden, turn the heat up higher to 425 degrees, but keep a close watch so it doesn't burn. We enjoy a good Eggplant Parmigiana, but don’t like the mess it makes when frying and the oiliness it imparts on the dish. I’ve tried baking it and that worked only so-so, but never thought of the grill pan. I’ll have to give that a try. Thanks for you tip on cooking and recipe. I am loving this. My mother did the “fry” bit as did I but I never was wild about it when it got soggy. I also love that this is winter-comfort but vegetable-centric. A lot of wins for my Minnesota kitchen. I’m going to try this method. I no longer fry mine, but still bread them and put them on a baking sheet with olive oil (a whole lot less than I used when I fried) and bake in the oven at 400. They get crispy but don’t absorb too much oil. That looks so yummy!! I agree about frying and then adding more calories with the cheese. And lucky us — while we were living in an apartment waiting for our dream house to pop up we bought an electric smokeless grill. 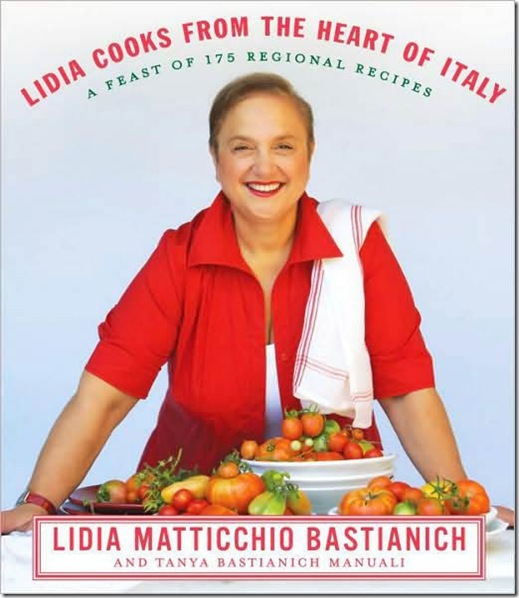 It works great and it would be perfect for making the eggplant parmigiana. Soon I’ll be back in the kitchen cooking again. Hope you and your family have a wonderful Thanksgiving! Un abbraccio forte! This looks so delicious Linda. You have certainly mastered eggplant parm that’s for sure! I hope that you have a Happy Thanksgiving! A well made Parmigiana may just be my favorite dish. I do confess, I grew up on the traditional fried eggplant style and still like it best. 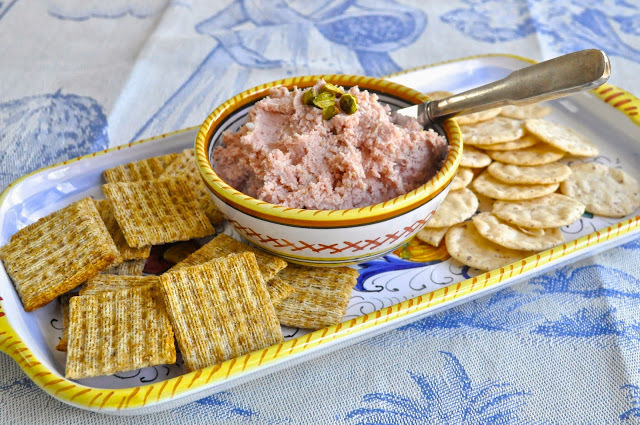 (Sans bread crumbs, just flour and seasoned egg, the way my grandmother from Campania made it, a style a friend from Naples says is typical of the mountainous interior. of the region In Naples proper, as in Sicily, as I’m sure you know, they fry them just lightly floured.) But when I’m in the mood for something lighter, I also grilled my eggplant. As you say, besides being easier on the stomach, it’s also a lot easier to make! And like you, I don’t limit my parmigiana making to the summer. 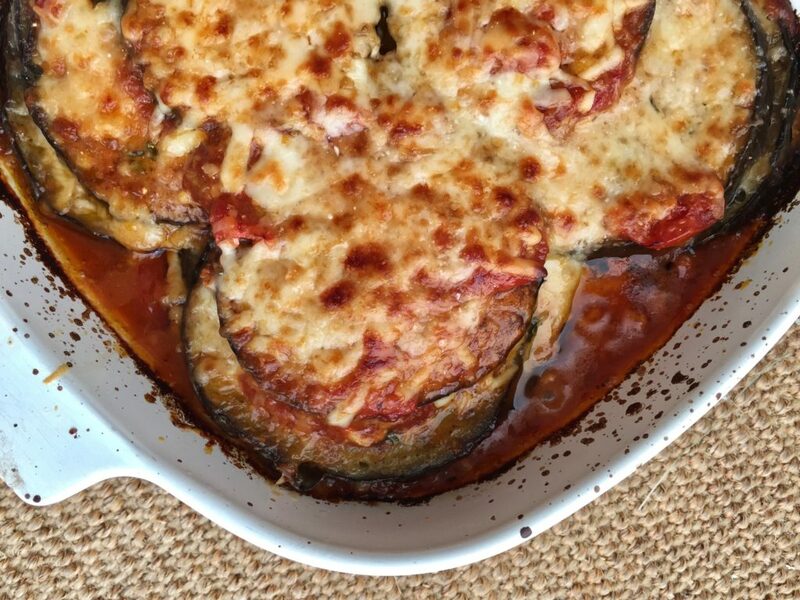 Even if eggplant is a summer veg, the parmigiana is such a hearty and warming dish I do like it, perhaps even better, in the colder months of the year.